This is a comfortable home with a large garden and private deck. It was once a state house, now renovated and a bit funky. Open plan living and kitchen. Available from Boxing Day for 3 weeks. The lovely Huatoki Stream and Walkway is right across the street. It is just a 10 min cycle or 30 min walk along the Huatoki Walkway to downtown New Plymouth, the Coastal Walkway, and the ocean. Or venture upstream to beautiful forest reserves. You'll be able to harvest strawberries, fruit, and fresh veges from the garden. Lovely views over the valley from the bedrooms upstairs. The bath is deep and luxurious and the woodburner will keep you cosy on cold nights. Two affectionate cats live here, and are likely to warm your lap too. Fruit, strawberries, and fresh veges from the garden. Everything you want in a Bach for a home base away from home. Everything you want in a Bach for a home base away from home. Tygo the cat did take some time to warm to the kids with 2 out of 3 getting scratches but by day 2 they were best friends sitting next to each other on the couch. Couldnt believe how close to the CBD and Pukekura park the property is. 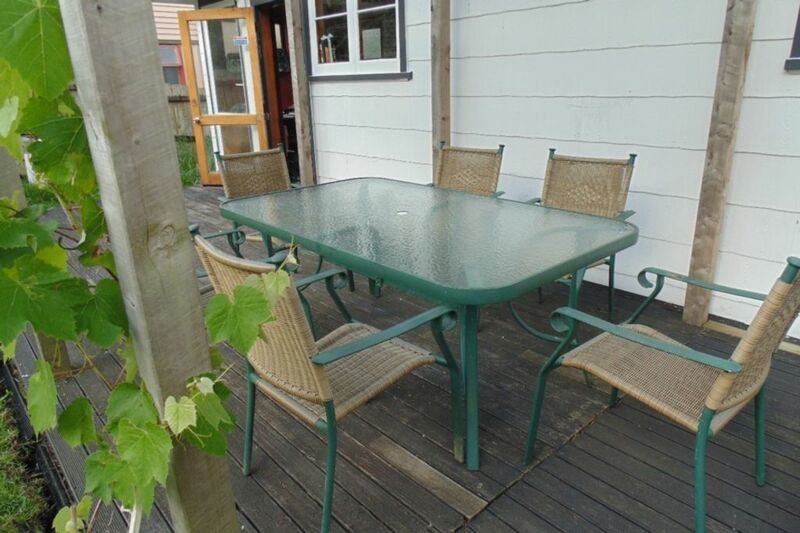 Couldnt believe how close to the CBD and Pukekura park the property is. Lots of space for my kids to explore but I dont think Tygo liked them very much. Location was great, close to walkways for exploring!